The company launched a campaign in April contributing $50 from select Rainforest products sold, all of which was donated to the 5K’s worthy cause. 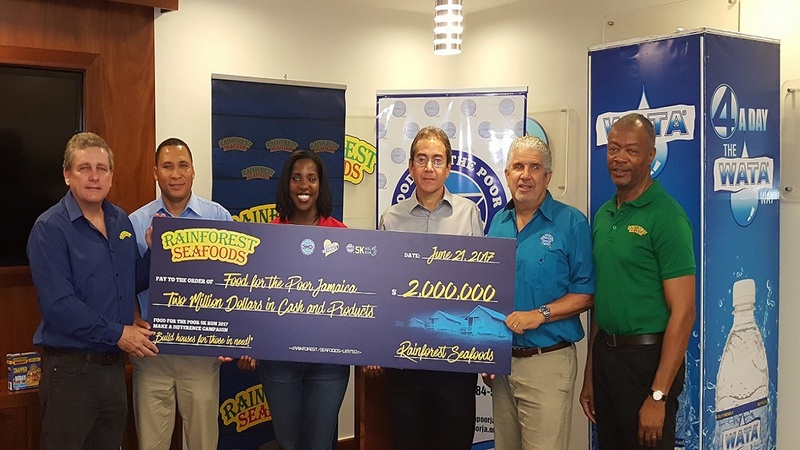 Rainforest Seafood handed over $2 million to Food For The Poor (FFP) Jamaica last Wednesday towards the charity’s fundraising efforts aimed at constructing houses for destitute Jamaicans. Rainforest had given its support to FFP’s 5K Run/Walk held on May 13 to raise funds for the housing project. The company launched a campaign in April contributing $50 from select Rainforest products sold, all of which was donated to the 5K’s worthy cause. The handover took place at Rainforest Seafoods’ Kingston office on Slipe Road. 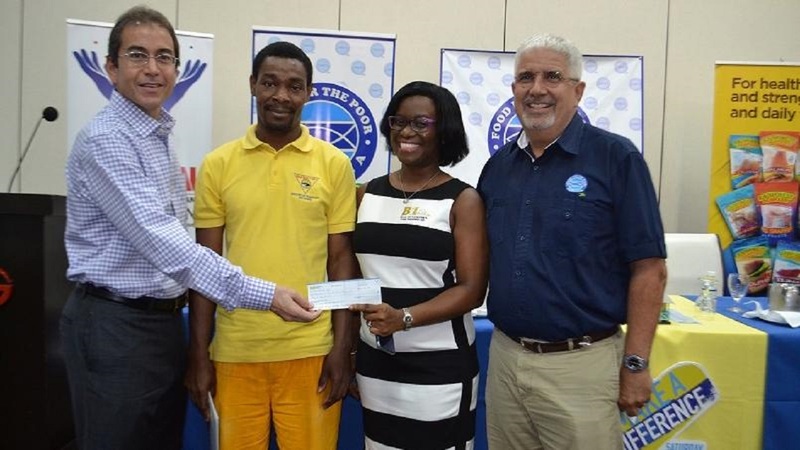 Present were members of Rainforest Seafoods, FFP Jamaica and winners of the 5K Run/Walk’s social media promotion. Brian Jardim, Rainforest Seafoods’ Chief Executive Officer, said his organisation is pleased with the efforts of FFP Jamaica, as the charity organisation has been one of Jamaica’s premier change agents for over 30 years. “Food For The Poor has made a difference in the lives of thousands of Jamaicans since its inception in 1983. The charity has constructed more than 42,000 houses for destitute families. They have developed a wonderful model and it is one we fully support and are pleased to commit another $2 million” Jardim said. 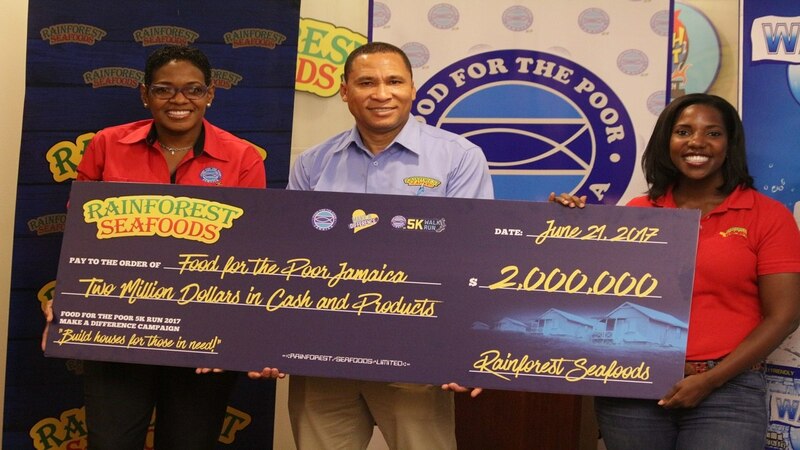 He added, “Rainforest Seafoods first partnered with Food For The Poor (FFP) Jamaica in 2015 for the inaugural 5K Run/Walk and having seen the joy of recipients and the efficiency of FFP in delivering their houses, Rainforest Seafoods has been inspired to donate more and share in the mission." Rainforest Seafoods and FFP Jamaica have jointly constructed over 20 houses. Andrew Mahfood, Chairman, FFP Jamaica who accepted the donation from Rainforest Seafoods, stated that the charity was extremely grateful for the support. “We at Food For The Poor Jamaica are pleased with the continuous support in cash and kind received from Rainforest over the years. We are extremely grateful for their support and we are looking forward to constructing houses for persons in need through the funds received, ” Mahfood said. He noted that 40 families across the island already stand to benefit with two-bedroom houses from funds raised through the event. 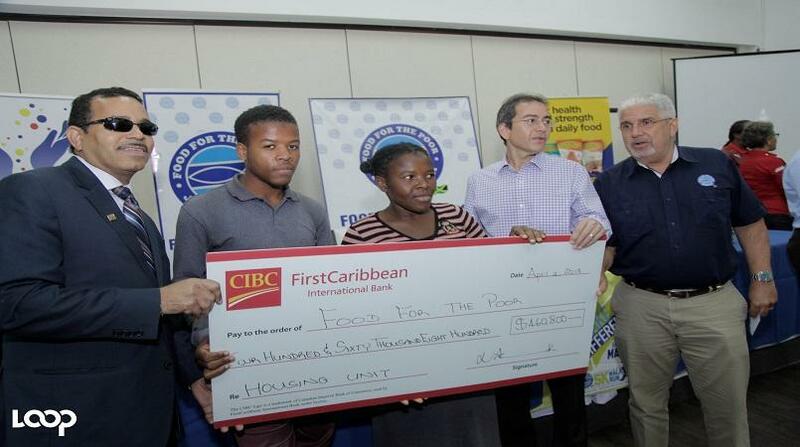 Winners of FFP Jamaica’s 5K social media promotion were also awarded at the event. Lisa Osbourne won the first place prize of a weekend at Jewels Paradise Cove; Alexia Williams won the second place prize of a $30,000 shopping spree at General Foods and Jasian Douglas won the third place prize of a Rainforest cooler filled with seafood products. In addition to Rainforest Seafoods’ donation, other houses were donated by National Bakery, Jamaica Public Service Company Limited, National Commercial Bank, ReMax, Black Ink Marketing Event Solutions Limited, CIBC FirstCaribbean Bank, Red Stripe, Running Events, Yohan Blake, Rotary Club, Rotetch, Supreme Ventures, Zoukie, Hi Pro, Cornwall Bankers and others.